FLAIR Beauty & Lash Studio is the creative vision of make up artist and eyelash stylist Jessica Shin. Specializing in the application of semi-permanent eyelashes, semi-permanent makeup and professional makeup applications, FLAIR is hoping to transform the daily beauty regiment of time constraint women looking for longer, fuller, darker, natural looking lashes. Opened in December 2015, FLAIR Beauty & Lash Studio stylists are all trained and certified to apply semi-permanent eyelashes with precision for optimal effect and style of each individual woman’s natural beauty. Equipped with FLAIR’s own GLAM SCALE, in which women can select the desired look. The true application of adhering eyelash extensions to your own should emphasize the natural shape of eyes as well as create a beautiful and captivating look. Which is why at FLAIR each stylist looks to emphasize the natural shape of a client’s natural eye by subtly contouring the eyelashes to the client’s desired look, whether natural, sultry or over the top. 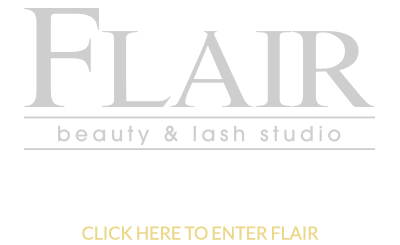 Using custom made high quality adhesives and synthetic lashes made in Korea, FLAIR looks to build long lasting relationships with their clients by ensuring natural looking results, long lasting lash applications, the maintenance of a client’s own natural lashes and a comfortable environment.